The wide lanes of Connecticut Ave., combined with heavy traffic and short pedestrian crossing times, make for a dangerous environment for walkers. Photo: mad african! (broken sword). Have you had an accident or a close call when walking along Connecticut Avenue? If so, you’re not alone. 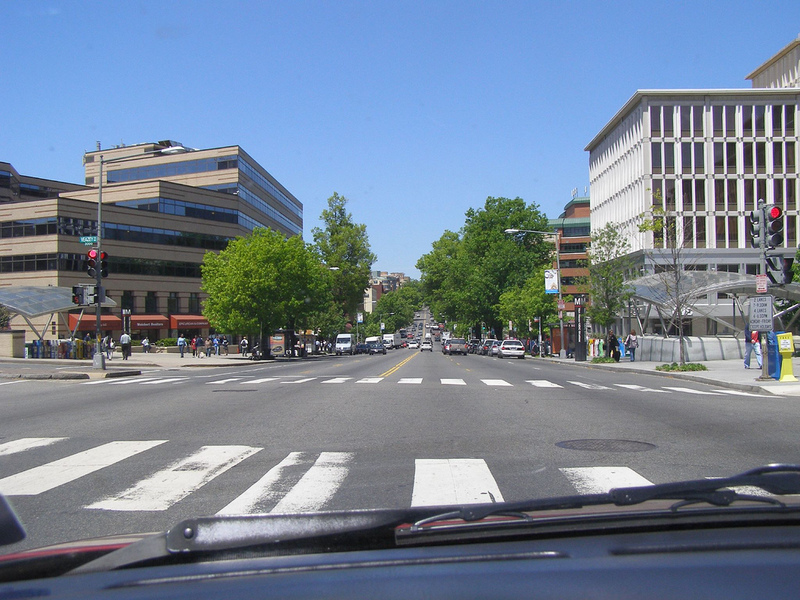 The arterial, one of Washington’s main streets, has some of the highest car speeds in the District, some of the shortest pedestrian crossing times, and many dangerous, unsignalized crosswalks. The street’s wide lanes accommodate heavy traffic during rush hour but allow drivers to go too fast at other times. As a result, Connecticut Ave has a history of pedestrian crashes (see map below). A high number of pedestrian injuries have occurred on the Woodley Park/Cleveland Park section of Connecticut Ave. between 2000-2008. Map: CAPA. 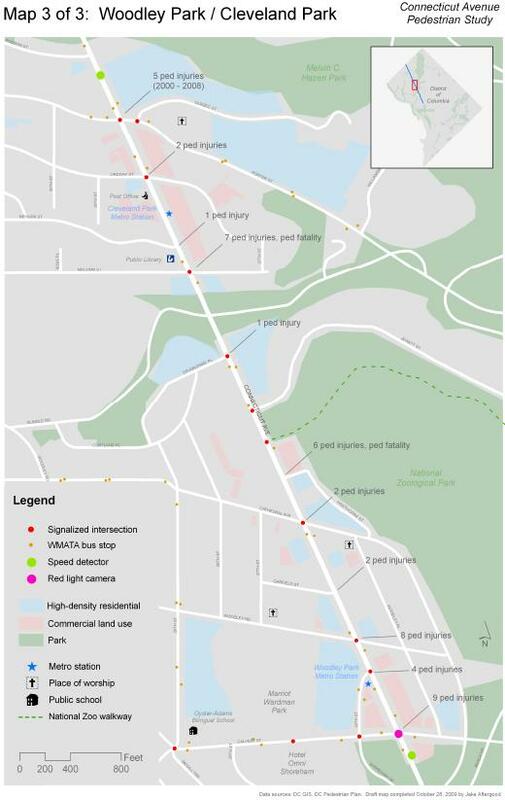 In response to these issues, residents along Connecticut Ave. from Woodley Park to Chevy Chase have created the Connecticut Avenue Pedestrian Action (CAPA) project to improve pedestrian safety along this important corridor. If you ever walk on that section of Connecticut, take a moment to complete the survey and identify trouble spots on the map. And if you’d like to get involved in a more substantial way, volunteer to do a pedestrian audit. CAPA is recruiting people to collect and enter data on the presence and condition of curb ramps, crosswalks, and sidewalks; barriers, such as obstructed walkways; timing of traffic lights; and pedestrian and driver behavior. This information will serve as a baseline for the study, and will inform recommendations to improve pedestrian conditions throughout the corridor. With technical assistance from Toole Design, CAPA plans to work with the District Department of Transportation and the Metropolitan Police Department to develop a pedestrian plan for Connecticut Ave. by the fall of 2010. New Report: Measuring Pedestrian Safety in the U.S.